411 Locals is an Internet Advertising Agency specializing in local search engine optimization (SEO), web design and online marketing solutions for small and medium-sized businesses throughout the United States. We are an official Certified Google All-Stars Partner, have a Better Business Bureau (BBB) A+ rating and are featured in Inc. and Forbes. With more than 40,000 client businesses in a variety of industries, 411 Locals is one of the fastest-growing, most successful online marketing companies in the world. Established in 2007, 411 Locals employs more than 450 professionals, has offices on three continents including the United States, Europe and Asia and has plans of opening up operations in Australia later this year. 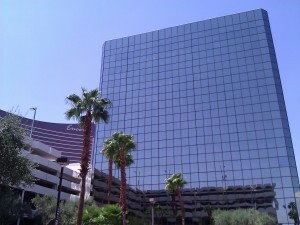 With its corporate headquarters in Las Vegas, Nevada, 411 Locals has a client retention rate of 95%, the highest in the industry and utilizes only “White Hat SEO” techniques and tactics. For further information, call 855-259-2908. We set out to become the most innovative Internet Advertising Agency in the world. We provide small and medium-sized businesses with a customized, affordable and effective marketing program. We achieve this by offering personalized commitment, out-of-the-box solutions, “White Hat” SEO practices, creative design and content from marketers who are experts in their respective fields. We’ve put together one of the most successful SEO Advertising teams – intelligent, dedicated, proactive and always ready to take up a challenge. We pride ourselves on offering superior Internet marketing services in the US. 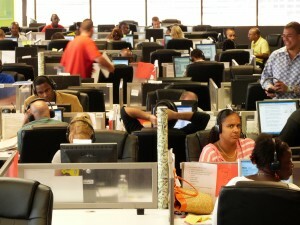 Our experienced agents will guide you through the process of becoming a new client of our company. You will see a boost in your company sales in no time. Want to know how your online advertising campaign is doing? Contact our competent and friendly customer service agents. With exceptional professionalism; they will answer all of your questions. They will communicate your needs and concerns to our technicians and guide you through the additional services we offer. Without exaggeration, some of the finest SEO specialists in the world work here at 411 Locals. The result is tens of thousands of businesses on the first page of a Google search for keywords that make them money. With more than 40,000 businesses served and a retention rate of over 95%, we are the online advertising agency with some of the most loyal clients in the industry. You’ll appreciate our dedication to success, the personalized attention you receive from us, our world-class customer service; and most of all, the amazing results we consistently deliver.